Love 2 ASL's mission is to instruct and guide interpreters, Hearing and Deaf, to reach goals of excellence in interpreting and to inspire them to maintain the pillars of exceedingly good character, Trust, Honor, Respect, Fairness, Responsible, Caring Citizens of Integrity. Love 2 ASL's Accelerated Programs help student interpreters fill in the necessary knowledge gaps between the last training you had to the next training you will need to be a qualified, certified interpreter. You may currently be in an ASL training program and you need a little support through our various books and videos. You may have just completed your Interpreter Training Program (ITP) and need help preparing to community. is here to take you to your next level and beyond! Juti was Born to deaf parents and has 62+ years of stories and experiences about life in the Deaf community, to share with her students. Love2ASL's mission and goal is to teach and prepare interpreting students to become skilled and qualified professionals. The need for ASL interpreters in the Deaf community is steadily increasing. One of our mission priorities is to help supply the ever growing need for well trained sign language interpreters throughout in the United States and well as several countries that use American Sign Language. Dr. Juti K. Seshie, wants to speak to you and discuss the best plan for your interpreting career. She has years and years of experience in interpreting. She holds Master's Degree in Counseling Psychology and she can help you shape your journey to becoming a qualified certified interpreter. With just a little of history about your interpreting education, what kind of interpreting you have been doing, what interpreting jobs you are doing now, and what your dreams, desires and goals of interpreting are, Juti will help you design a learning system that will take you where you want to go. 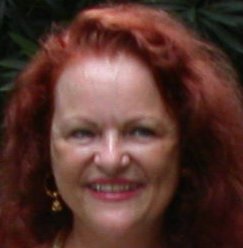 We provide Interpreter Training through DVD's and Live OnLine workshops, uniquely created by Juti Seshie, Ph.D. who has been and still is a Qualified Professional Interpreter for over 45 years. Please Visit the Love2ASL Store to purchase Love2ASL T-Shirts, Hats, Book-Bags, SweatShirts, Aprons, FingerSpelling DVD's and more trainings. Love2asl's Accelerated Mentoring Program, also known as AMP. AMP was specially developed out of Dr. Seshie's Masters in Counseling Psychology background in addition to her Deaf community experiences. She draws upon her educational training and experience in the field of Counseling Psychology. Juti has 62 years of sign language skills, Over 40 of those years are as a Deaf community interpreter, and 33 of those years has been interpreting in the Superior and Federal Courts of California. Or If registrant has called to cancel and obtained authorization prior to 7-days of the Workshop, monies will be transfered to another workshop of your choice.